Fussy florals not your cup of tea? You need the Ludo collection. 100% cotton, absorbent, and designed with natural grey and white lines – in two shades. Seriously – this is so you. 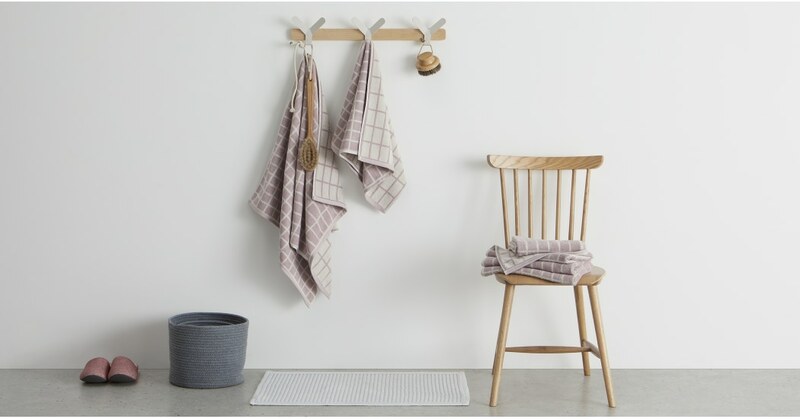 This patterned bathroom towel's grid design gives it a modern, clean look – add interest to your existing, plain bath sheets. We’ve got our ever-talented MADE Studio team to thank for these designs. Ludo’s trend-led industrial vibe, and youthful look, packs a huge design punch into a small little price tag.